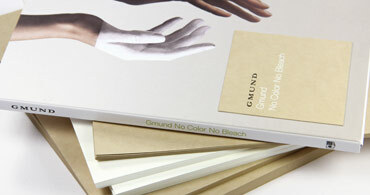 The Gmund Color System is a cohesive collection of matte, metallic, translucent, and textured papers. Each rich color in the color is assigned a number so matching is made easy across the board. Luxury made simple. The Heidelberg Press & authentic letterpress craftsmanship are the inspirations behind Gmund Heidi. This naturally rough, 100% post consumer paper is offered in 4 colors (Used White, Faded Grey, Soft Kraft and Dull Black) & two weights, 330GSM & 530GSM. 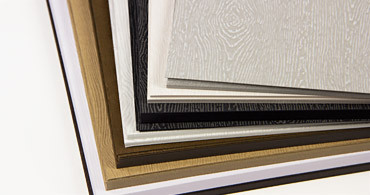 Gmund's Savanna Wood Grain card stock, paper, and vellum is embossed with a striking texture that captures the essence of real wood, knots and all! 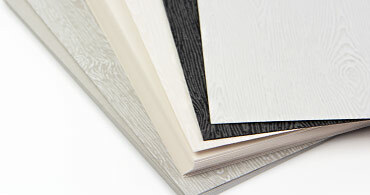 Use for any project you want to have a natural, earthy, and high end feel. 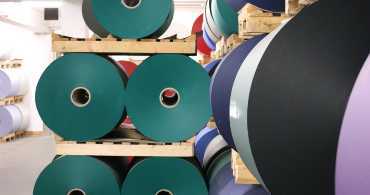 Gmund has been family-owned since 1904, when it was taken over by Ludwig Alois Kohler, almost a hundred years after the mill began to produce paper in 1829. Poised along the Mangfall River, up to 75% of the mill's energy is generated through this powerful water source allowing them to boast "water-produced paper". 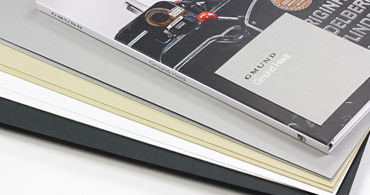 Currently, Gmund is operated by Kohler's great-great-nephew Florian Kohler, who superbly keeps one of the oldest running paper mills in the world not only up to date, but producing only the finest quality paper. It's easy to say that Gmund's technique combines the best of the old with the new; one machine has been running since 1883, the other since 1979, both completely modernized and their technology consistently current and state of the art. 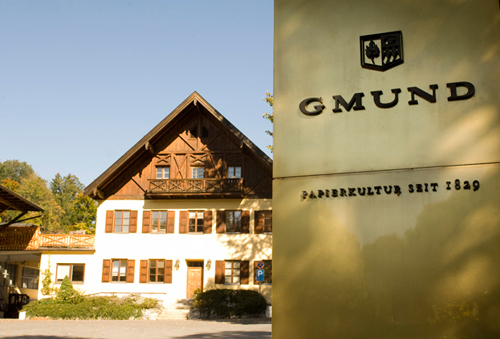 According to Gmund: "Cosmetics, perfumes from around the world, alcoholic beverages, the finest chocolates, ecological mueslis, tea and many other products are packed into papers from Gmund." 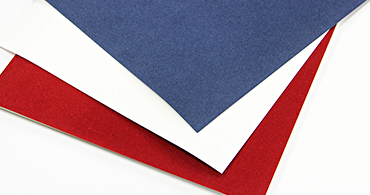 Amongst the many roles Gmund paper plays around the world, it has also been the choice for invitations to the Cannes Film Festival and Hollywood's Academy Awards ceremony; when the envelope it torn open to reveal an Oscar winner, there's an excellent chance it's on Gmund paper. Gmund is not only committed to investing in energy efficient and environmentally conscious production, but also makes contributions to preserve their stunning shore of Lake Tegernsee. 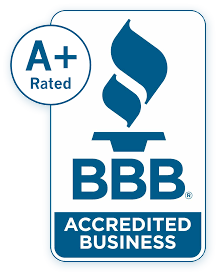 A choice few of the over 40 top-of-the-line brands Gmund manufactures include: Gmund 3, Gmund Action, Gmund Bee!, Gmund Colors Contact, Gmund Cotton, Gmund Ever, Gmund for Food, Gmund Kashmir, Gmund Mohair, Gmund Reaction, Gmund Stone, Gmund Urban, and Gmund Worldline. 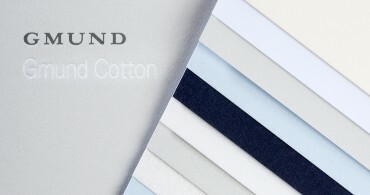 Gmund boasts over 100,000 paper variations, all available in samples, which are developed in their specialized labs and tested vigilantly to assure it retains its reputation for world-class excellence.